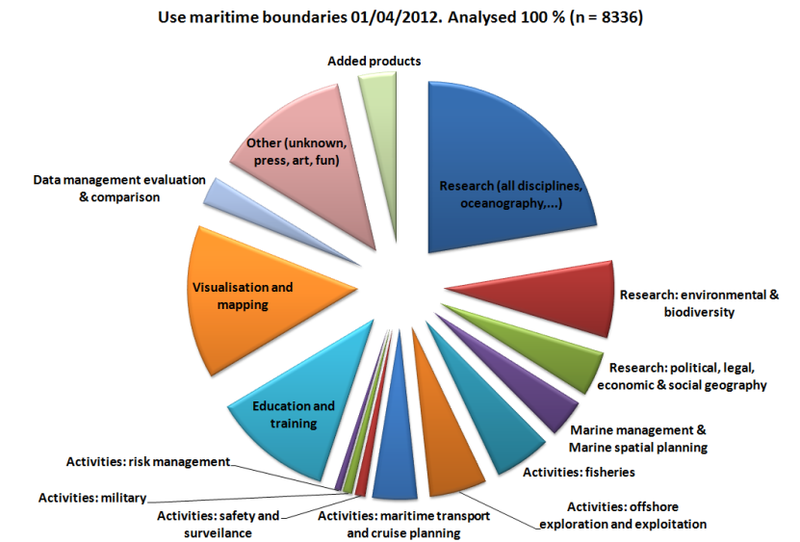 At the moment we are analysing the users and download purposes of the 13 845 downloads of marine boundaries on our website since between 2008-01-01 and 2012-03-30. Between 2012-04-01 and 2012-11-19 8025 more downloads have been performed, but are not yet included in this analysis of usage and users. https://github.com/ldbk/EMISR A package to extract and to analyse the data of the Environmental Marine Information System (EMIS) and the Global Marine Information System (GMIS). EEZ database will be included in the R package. http://boblme.reefbase.org/map/ The Bay of Bengal Large Marine Ecosystems. http://geobon.org/working-groups/working-group-5-marine-ecosystem-change/ GEO-BON: Marine regions compendium.